I received a box of beautiful and unique books and journals from Thunder Bay Press. Their selection of journals and classic books make great gifts for those who love literature, writing and journaling. For the Austen in August event hosted by Adam at Roof Beam Reader I am giving away one Pride and Prejudice novel journal (US only). 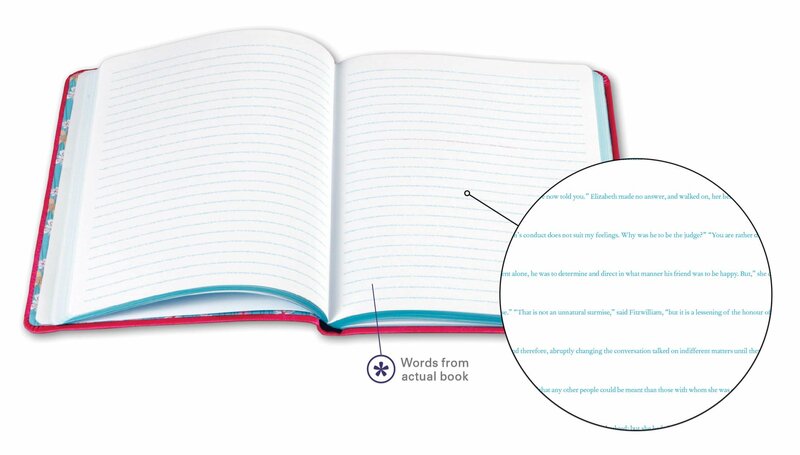 As a blogger I am always looking for journals in which to scribble my thoughts about books. I have a scattered collection of notebooks and I was thrilled to receive the journals from Thunder Bay Press so I could better organize my reviews. The sturdy, heat burnished covers ensure that the pages are not easily ripped and if I spill a beverage on the journal then the paper is still protected. Leave a comment below and tell me what your favorite Austen novel is. You must also be signed up for the Austen in August event on Roof Beam Reader. The giveaway runs from August 5th through August 12th. I will choose one random winner who will be notified via e-mail. The winner will have 48 hours to respond with a valid U.S. mailing address. My favorite book by Austen is Pride and Prejudice so I love all of the P&P fiction! Thank you for your offer, I read Pride and Predjudice but would love to include her other novels. Thank you for the giveaway, I would love to have the journal. My favorite Jane Austen book is Pride and Prejudice. Persuasion has always been my favorite Austen. I’ve read and love them all in different ways, but there’s something so beautiful about their mature love. My favorite Austen is Northanger Abbey. Great giveawsy! My favorite Austen is Pride & Prejudice! Thanks for offering this giveaway. What a fun way to celebrate Miss Austen’s works! Thank you for the giveaway! My favorite Austen is Northanger Abbey! Thanks for this delightful and beautiful giveaway. My favorite novel is Pride and Prejudice. 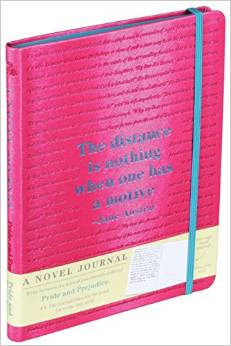 My favorite Austen novel is Pride and Prejudice so I would definitely love this journal! Ooo…. I love a journal giveaway! My favorite seems to be in line with so many others… Pride and Prejudice! Thanks for sharing with us!!! I’m a total sucker for Persuasion, but I have a lot of love for Emma, too. Pride and Prejudice is my fav, I’ve read it countless times. What a unique idea! I’m happy to learn about the other novels spun out in tiny type in this way. I’m not doing Austen in August, but I will definitely share this with a friend who is! This is a clever idea–despite the advent of the blog, I still keep a written journal, mostly travel related, and this one is gorgeous and so appropriate! I’m not doing Austen in August either this year–too many late summer commitments–but will spread the word. What a lovely journal. My favorite is Persuasion because she gets a second chance at love. Mansfield Park! Mansfield Park! Read it after I’d seen the movie. Love it. My favorite novel by Jane Austen is Pride and Prejudice. Definitely Pride and Prejudice! I read it at a young age and keep coming back to it.